Premium accounts have the option to mark any date as closed on the calendar. 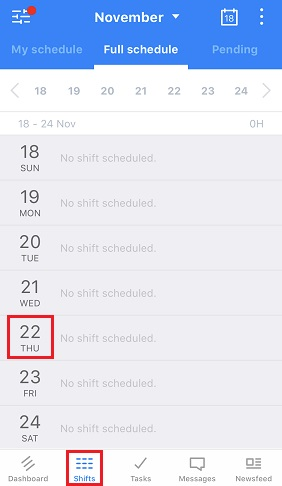 This helps in letting your employees know of days they will be off and prevents other admins and mangers from scheduling unnecessary shifts. To mark a day as closed from the website, you'll have to be in the Day or Week view. 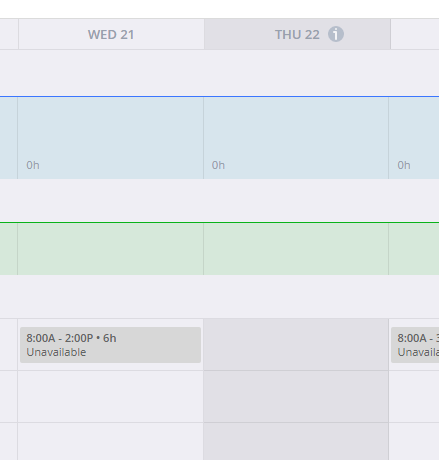 From the Day view, click the + icon near the top left of the Schedule page. In the Week view, hover your mouse pointer over a date to see the + option. A new window will pop up where you can choose to mark the day as closed. 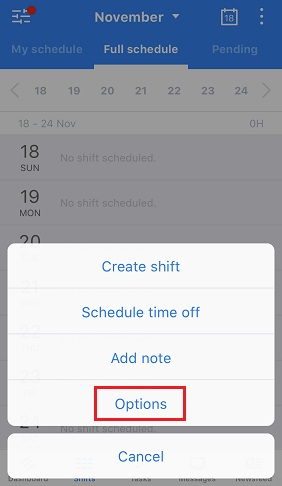 Click Save and the day will now show with a darkened background as an indication that no shifts or time off need to be scheduled. 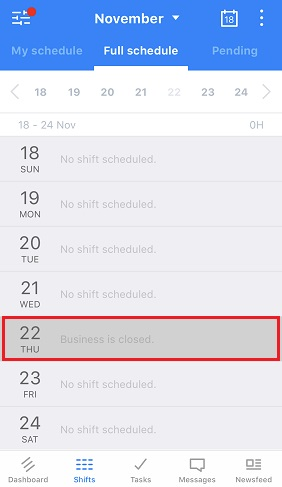 Go to the shifts tab, then tap the date you want to mark as closed. A menu will pop up. Choose Options. 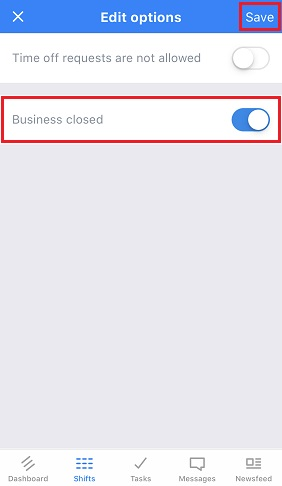 Switch the toggle on for Business closed, then tap Save. The day is now marked as closed in the calendar view.